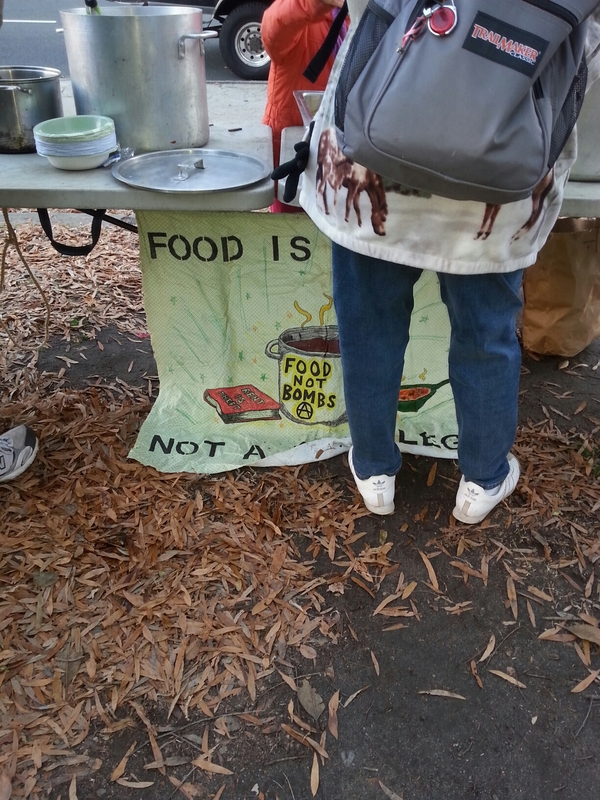 Food Not Bombs needs some money! If you are able to donate money or host a fundraiser for us this spring, please let us know. Even sharing this event would be super helpful! 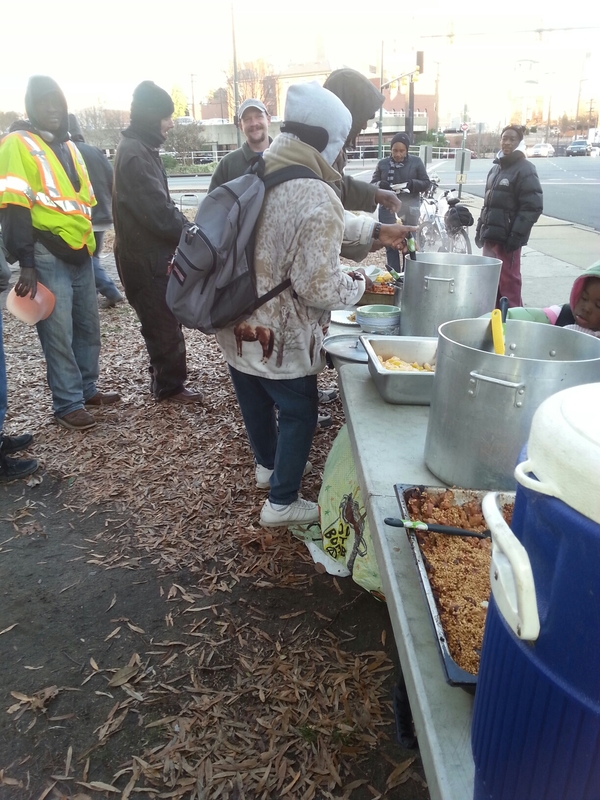 We can always use volunteers to help chop, cook, clean, wash dishes, organize, post fliers around town etc. 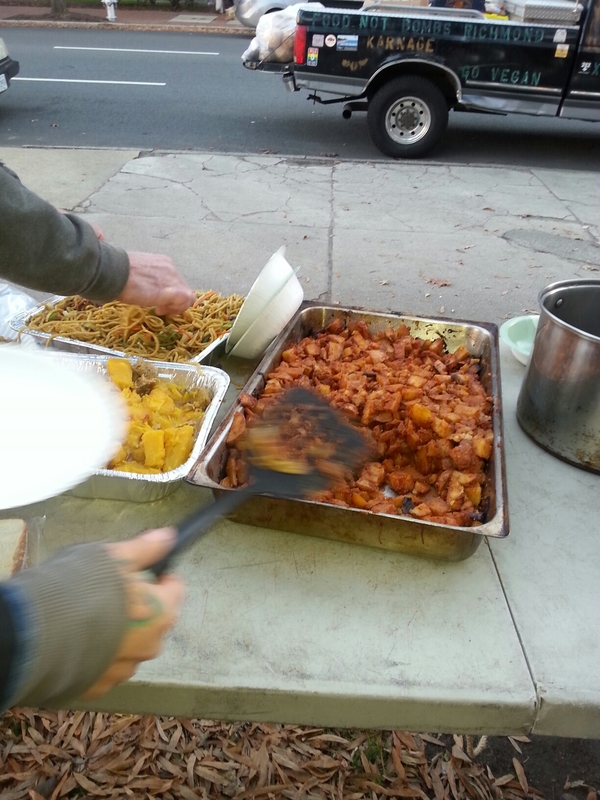 We can also always use donations of paper plates, paper cups, plastic forks and spoons, rice, oil, olive oil, vinegars, sugar, flour, pasta, spices, oats, etc. 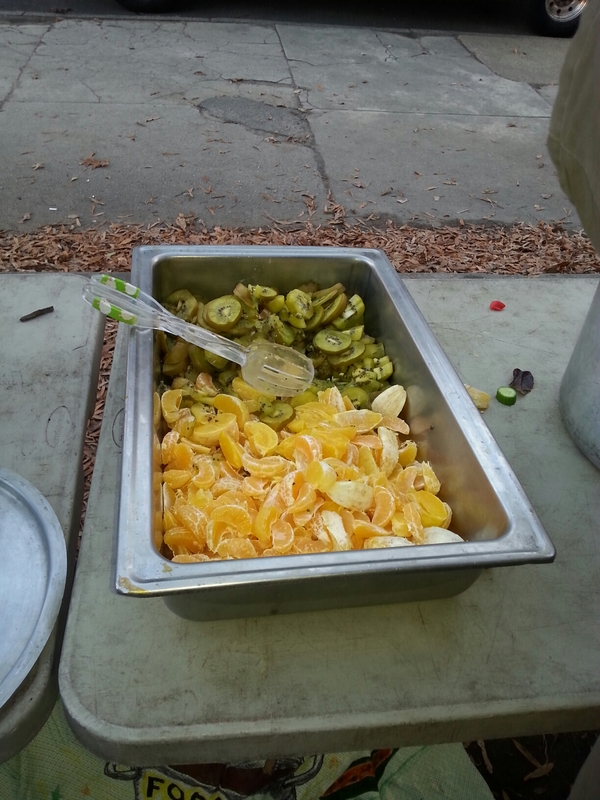 These can be dropped off at any of the cooksites or the Wingnut (2005 Barton Avenue). Please get in touch at 804 300 0023 or mokarnage@gmail.com for more information. 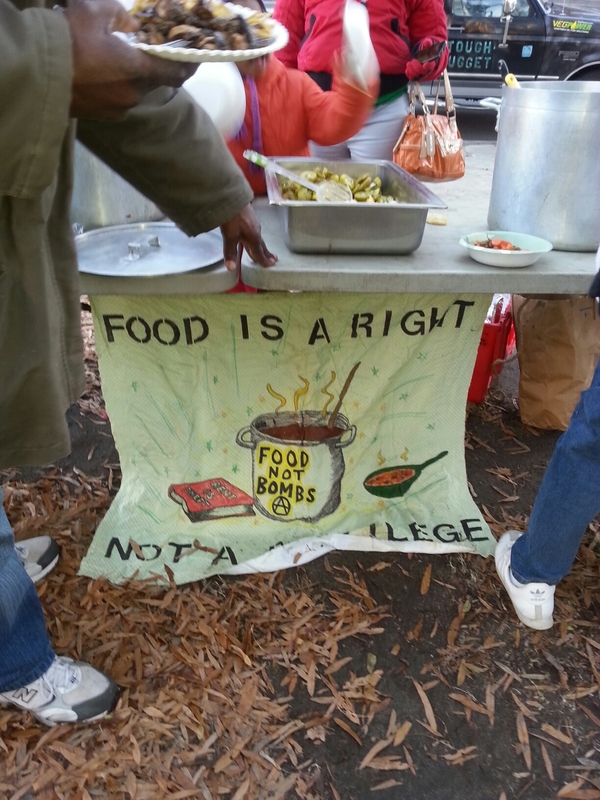 Food is a Right, Not a Privilege!!!! 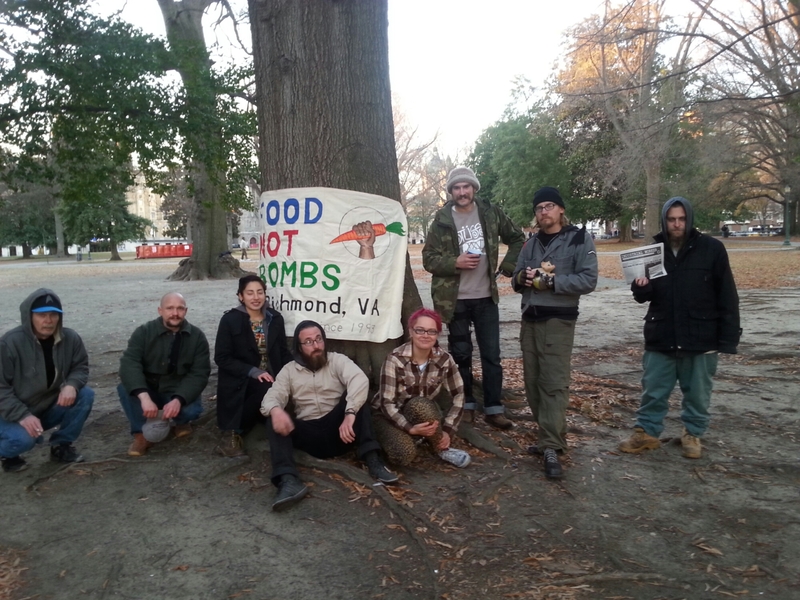 Food Not Bombs has been serving a free, vegan meal every Sunday in Richmond’s Monroe Park for almost 21 years now. We go out regardless of the weather or holidays and have only missed 2 Sundays in all these years. Everything is done on a volunteer and donation basis. We can really use the help and allies as we face many potential issues due to the recent privatization of Monroe Park (a thirty year lease for a dollar a year to the Monroe Park Conservancy), which threatens the ability of poor and houseless people to be in Monroe Park and our ability to serve free food with a potential year long park shut down, private security, and $35 permit application fee. We do not know when any of this might happen because the MPC is a non transparent private entity, but we do plan to resist and we need your help! For more info on the renovation plans please get in touch!! Smash the Fast Food Industry! We are recommending this short zine written by our friends, which is a brief analysis of the fast food industry from an intersectional lense. We at the Wingnut have been involved locally with the Fight for $15 Fast Food Workers movement. We support workers because a)some of us are fast food workers or other low paid workers, b) not supporting workers would get us no closer to social change, and c) we have to build movements to have movements, and create relationships with people to build the community that is necessary to transform the world. But at the end of the day, we are anti-capitalists. Not all of us are vegan, but the environmental impacts, health impacts, animal suffering, exploitation of low income people of color and more mean that the Fast Food Industry is a major negative impact on our communities. Improving the working conditions and raising wages is something that all industries need and all workers deserve. However, the Fast Food Industry is specifically so rotten, so toxic, that changes to labor will never be enough. We will continue to support the Fight for $15 and other worker’s movements, but we will also always keep the bigger picture in mind. Low wages and bad working conditions are just a symptom of the rotten exploitative attitude of the fast food industry. We need to attack the roots. 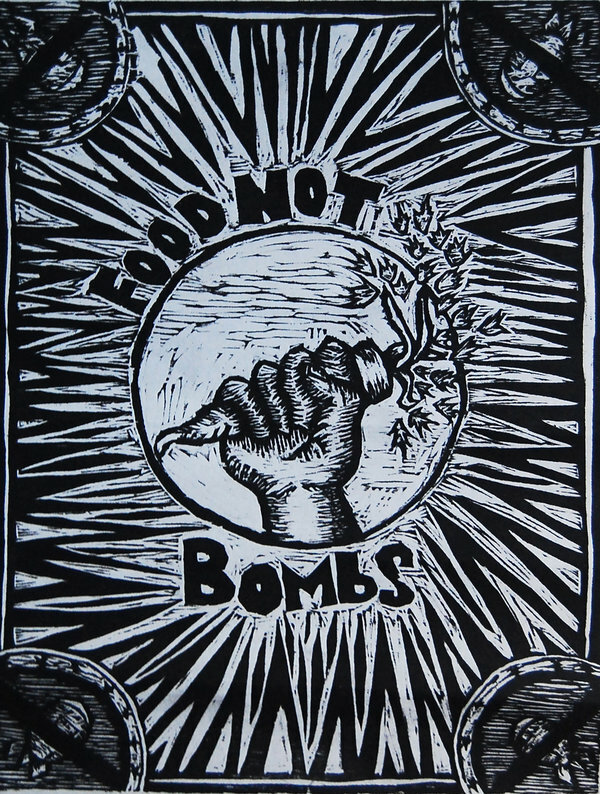 Check out the zine, read more about it, and help us create a vision for a world without Fast Food, and where our communities are healthy and sustainable! Total Liberation! Freedom for Non Human and Human Animals Zine! A veganarchist critique of liberal veganism. 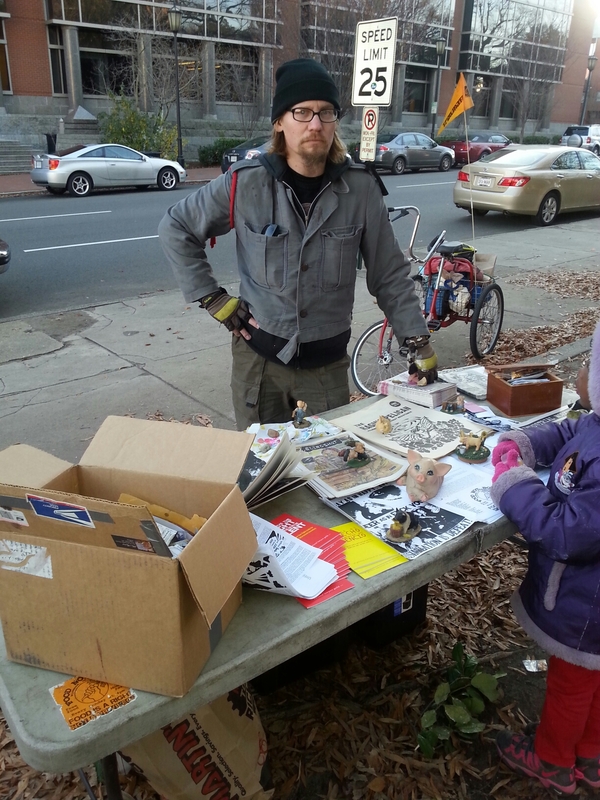 Zine written by our friends at the Feral Space. 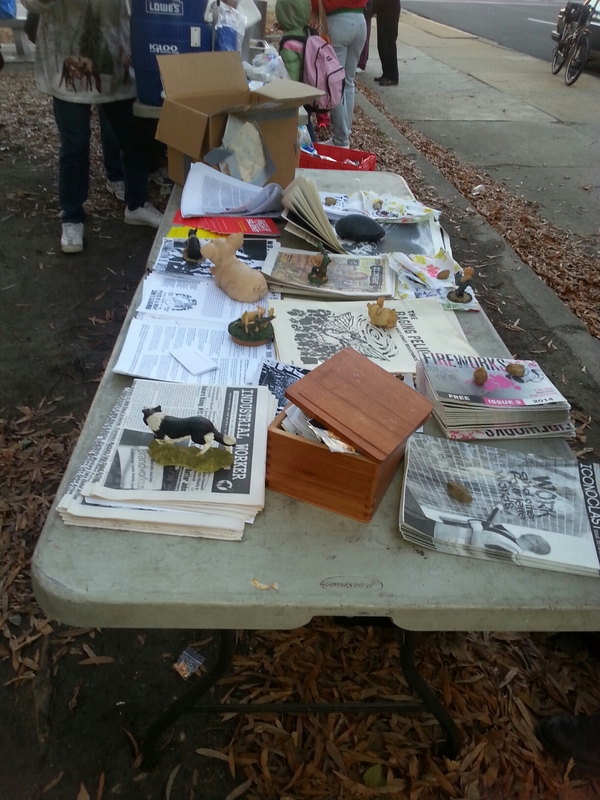 A vegan straight-edge anarchist space for information, community organizing, and direct action in Elgin, IL.